"Thanks to everyone on board for willingly sharing such great ideas and experience!" 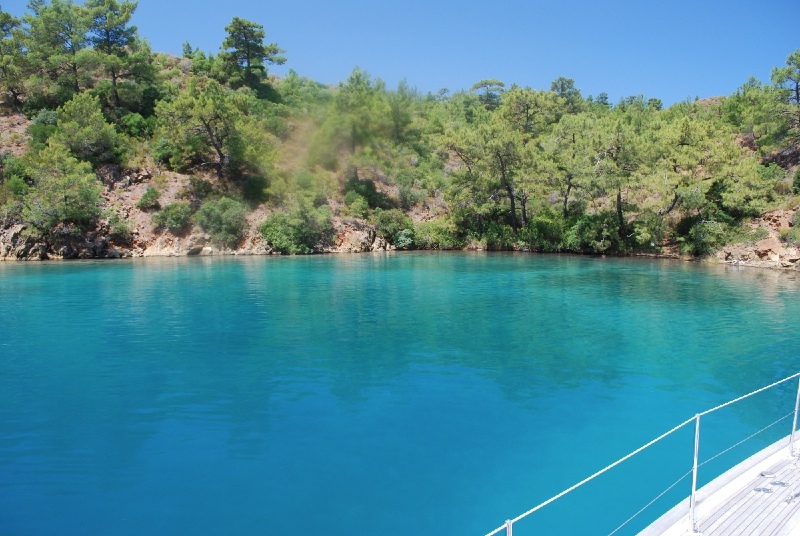 The backdrop for this experience will be the beautiful coastline of Turkey and the Greek Islands of the Aegean. Throughout the week we will be making overnight stops at delightful locations and frequent lunch time stops along the way. 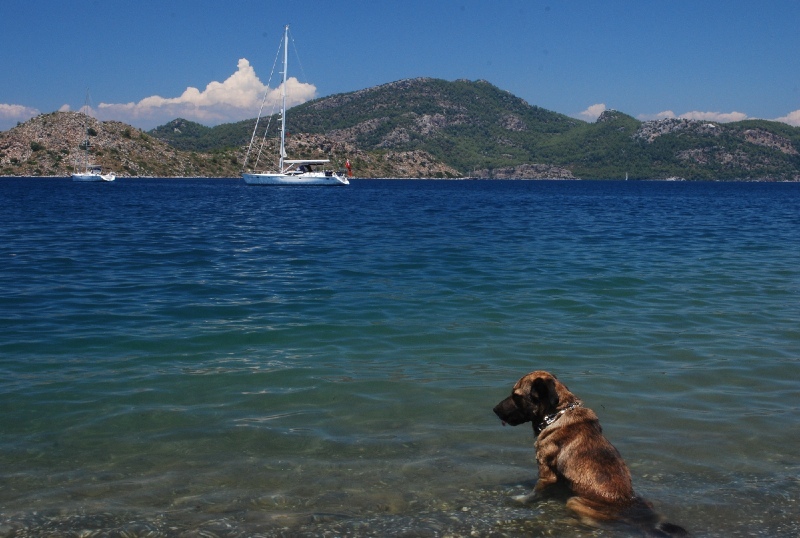 Plus, of course, wonderfully secluded swims and barbecues in idyllic anchorages mostly only accessible by boat. Day 1: Arrive at Didim Marina, Near Bodrum, Turkey. Swim and relax by the pool whilst other guests arrive. Safety briefing followed by dinner in the Pool Restaurant. 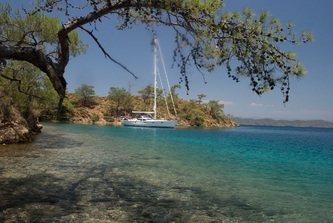 Day 2: 16nm relaxed sail to Yalikavak for lunch and overnight stay at anchor. Day 3: 35nm downwind sail to Ancient Knidos for anchorage and dinner ashore. 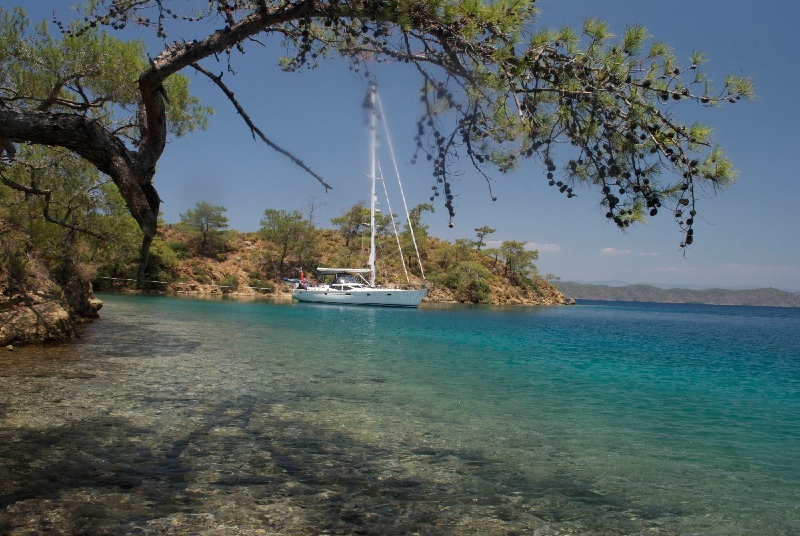 Day 4: 25nm sail to Datcha, stopping for lunch and a swim along the way. Dinner ashore. 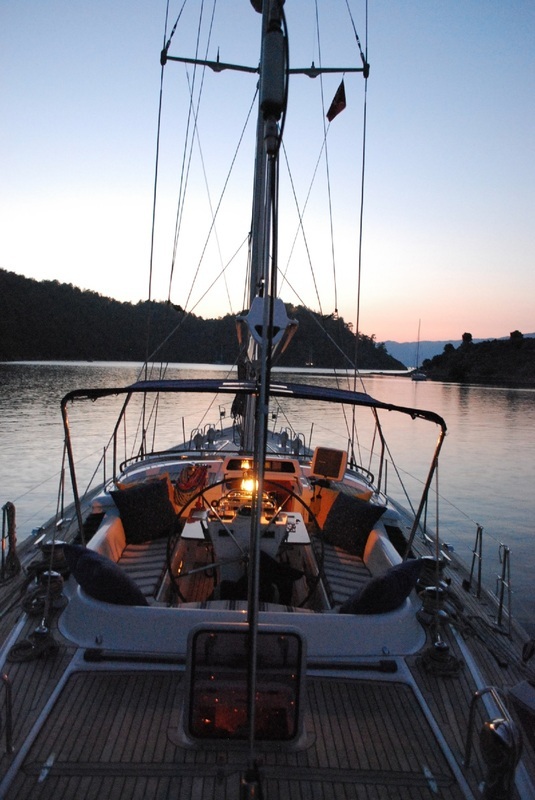 Day 5: 20nm sail to the spectacularly peaceful ‘Sailors Paradise’, for Dinner ashore. 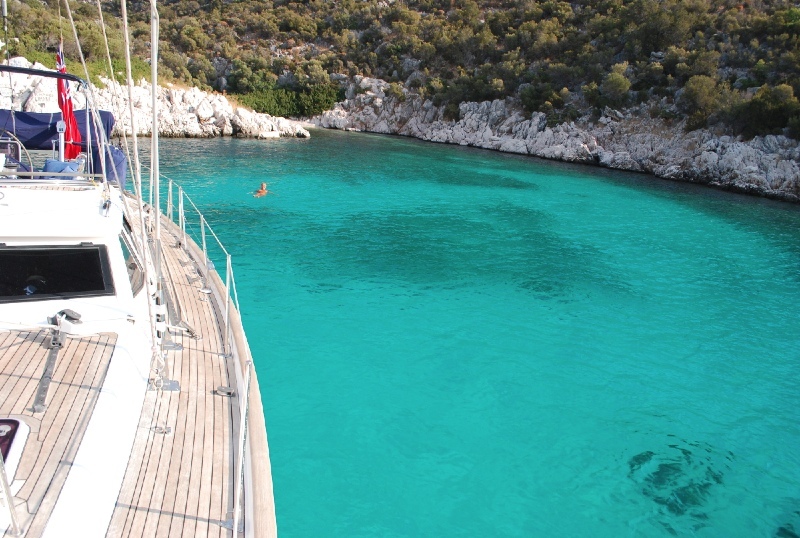 Day 6: 10nm sail to a peaceful and secluded anchorage. Barbecue on board. Day 7: 10nm sail to Selimiye, Dinner ashore. Day 8: 5nm sail to Marti Marina for debrief, drop off and taxi to airport. NOTES: All distances are approximate. Actual route may differ depending on weather and crew. Starting and drop off points may differ, but will be within a taxi ride of Bodrum Milas International Airport, Turkey unless otherwise advised. (Taxis not included). 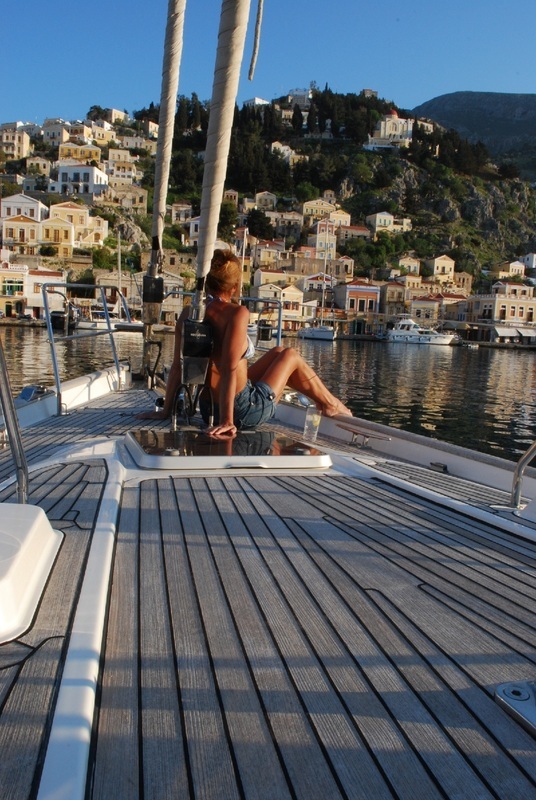 Breakfast (and light lunch, if not taken ashore) will be taken onboard in a relaxed, ‘help yourself’ manner. 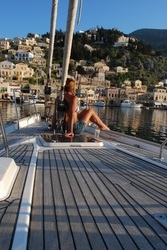 Drinks and food on board inclusive. 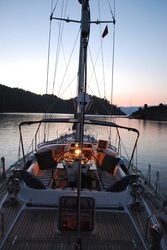 Dinner will mostly be taken ashore in relaxed, friendly restaurants (food and drink at own cost).